Shannon Olive was born and raised in Portland, Oregon. She is 40 years old with two boys (22 and 20) who also live in Portland. After graduating from Concorde Career Institute with her Medical Assistant in 2004 it was very challenging to find a job. Later that year, she was introduced to Oregon Action by Johnnie Gage during the George Bush vs John Kerry 2004 Presidential Election and they were recruiting for their voter registration campaign. Shannon never voted, but that year discovered that she can too make a difference and was glad to be a part of something different. Shannon was unstoppable, and now had joined the social movement, fighting for our rights, addressing issues then and now that would make Oregon a better place for low-income communities of color. Her first organizer position was with OPAL (Organizing People, Activating Leaders) and Environmental Justice Group in SE Portland. She organized their first Bus Riders Campaign and they informed over 2,000 Bus Riders about the fare increase and budgets cuts. 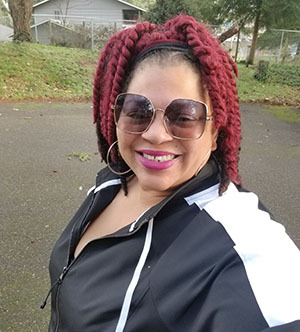 After her work with OPAL, Shannon returned to Portland Community College to further her education with an Associate Degree in Criminal Justice. While attending school she became an employee working with ASPCC Student Government for two years as the Director of Legislative Affairs. 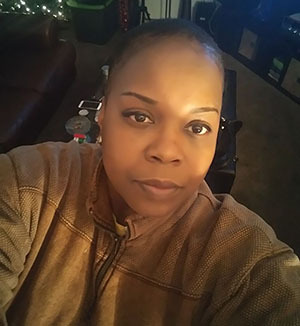 In June 2015, Shannon received her Associate Degree. Shannon has been serving her community since 2004. Now she’s the Founder/President for WomenFirst Transition & Referral Center, working to serve women in re-entry and recovery - supporting them to rebuild their lives to succeed. She will never stop. The fight is in her and she will continue to fight for change until it comes. Katy Burke was born and raised in North Portland. She attended high school at Grant in SE Portland, from there she went to college, graduated 2015, she works in the medical field at Concentra Urgent Care. She is the youngest sibling of 4. She is big on uplifting and pushing women to their highest potential, love to help as much as she can and be there for other people. Katy is excited to encourage and help strong beautiful women in her journey with WomenFirst. Lafonda Grant is an empowered woman of color. She is a wife of 22 years, mother, sister, aunt, grandma and a best friend. At a young age she was raped, abandoned (mental illness), involved with Children Service Division, was addicted to crack cocaine, and had multiple of thefts on her record which caused her to be put away to prison. She experienced domestic violence and didn’t have no one to turn to. She was all messed up hit rock bottom. Lafonda learned to love herself first. She is somebody who can teach love, give love, and create ways to share the love. Lafonda had to seek a doorway to learn to give herself a second chance. Having a higher power to give strength, developing tools for life-skills, obtaining the knowledge through her life-experiences too be willing to help others. She created a steady foundation to build relationships, so she can share her experiences. Out of love and hard work, Lafonda is somebody with a voice, has gratitude, making accomplishments to be able to fulfill her goals and discover what potential she has. Lafonda is a forgiver, she’s beautiful, she is awesome, a leader, and most of all she loves herself. Lafonda also has a degree in medical billing and coding from Portland Community College. And she is returning back to school to further her education to become a Phlebotomist. Sylvia was born and raised in Portland Oregon. She has four children, one boy and three girls. Sylvia is a family person and loves to engage in family activities. She also enjoys throwing nice parties for the children and adults to enjoy. Sylvia has a big heart and love helping others. Recently, Sylvia has decided to go back to school to help better her education and future. She has not fully decided her career path. She is currently majoring in general studies. Sylvia also attends LifeWork Northwest's annual steering committees to give her voice to help emprove services offered through DHS and CPS. Her goals are to give back to her community in which she lives in, by empowering others and being a positive role model.